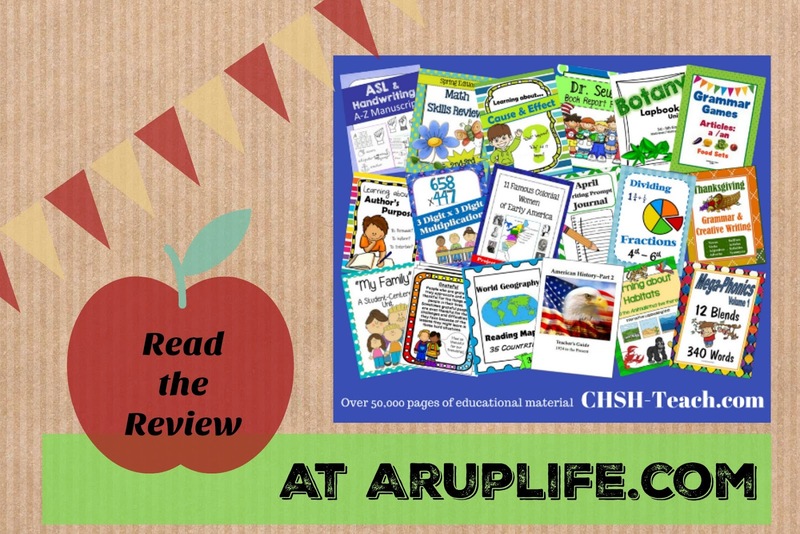 In the world of homeschooling it can be overwhelming finding quality resources to supplement and accent your curriculum. Over the years I've been members of several printable sites and I've even found some neat free stuff. Finding free things is a lot of work and honestly I often forget what site it was on even when using pinterest! Many paid sites only have content for older or younger kids with very little variety. I had been looking for that hidden gem that had lots of content for all ages and a site that continued to provide new content. 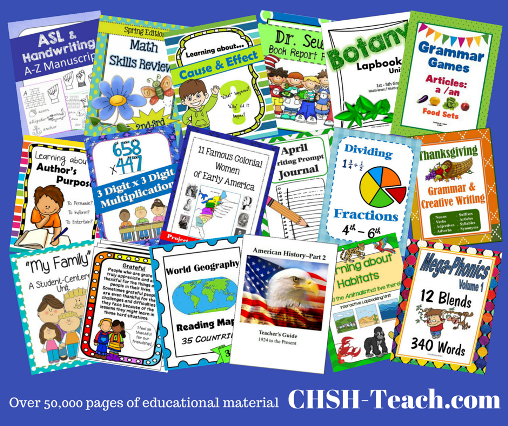 CHSH-Teach.com has been that hidden gem for our homeschool with their CHSH Download Club subscription. I received an online subscription to the CHSH Download Club. 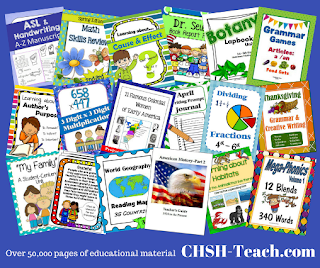 This membership gave me access to over 50,000 printable resources for all school levels. This is just a sampling of the types of subjects offered. You can see some of the freebies they offer and get a feel for how things look, too. The site has navigation to search by subject or grade level so finding things to fit your need is quite easy. Honestly at first I was overwhelmed with the sheer amount of stuff I could print. 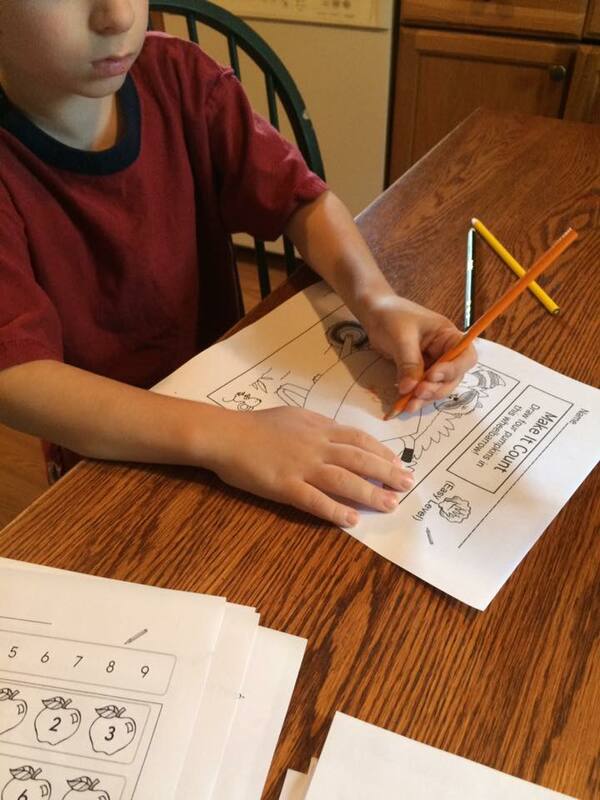 It is back to school time so I thought that would be the best time for my kindergarten student to do some review work. 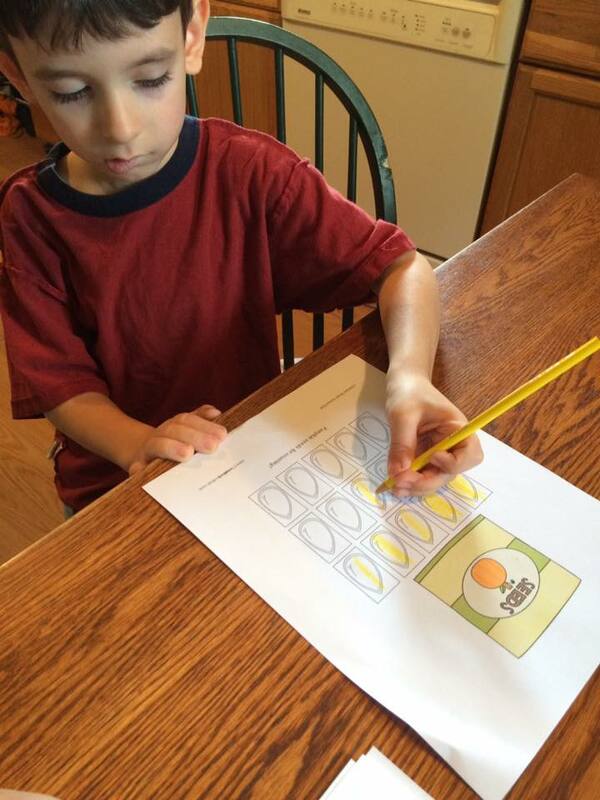 I printed off a number puzzles for him to practice his counting. I also printed off a pumpkin packet for fall. This included activities that revolve around pumpkins like the life cycle, drawing, counting. It is a perfect introduction before we go pumpkin picking in a few weeks. Some of the sheets I printed were in color and others came in black and white. I have a laser printer so sometimes I save color ink and just print on there as well but I like the option of color too because for the little guy color just adds more to the assignment. So, yes you will need some way to print to fully use this resource. They just recently released Monthly Learning Packs for Kindergarten thru 3rd grade. I have to say I love this addition. I love having themed work for each season/holiday. There are a few things (like the pumpkin activity) on the site already but not a ton. Having this pack is perfect! The worksheets had two levels so a beginner grade level and sheets that would work for someone closer to the middle/end of the school year. Another neat thing is the emails that are sent highlighting new products. That is how I learned about the Monthly Packs. I really liked this email because it spotlights resources I might have missed otherwise. I really liked this resource. I feel like it really has what I'm looking for and I've been pleased at how many things are on the site. 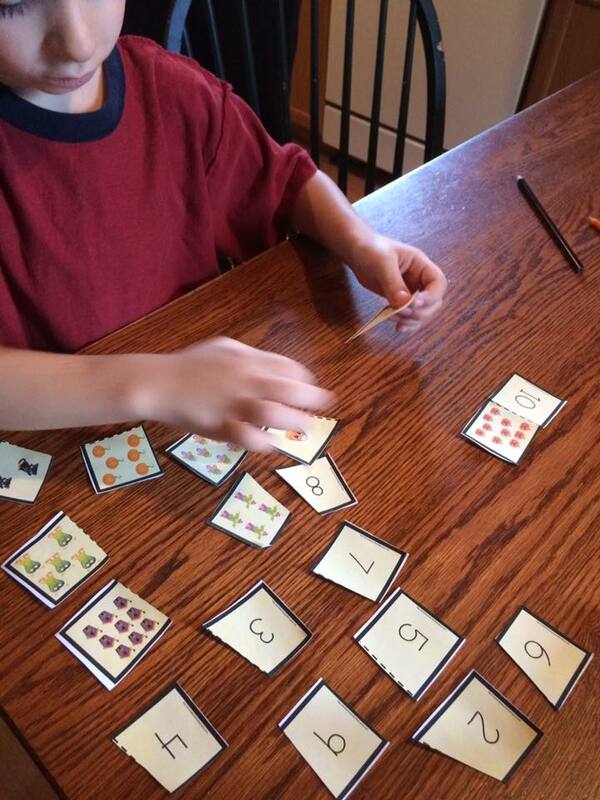 I can totally see myself downloading the monthly packs each month in addition to other activities/worksheets. Want to see more? Click on the banner below to check out what other CREW members thought!